Another good price here for a pristine. Good price for a solid quality spec phone, tempted but am a slave to the bezel free fashion now, heat for the thought though, love the copper finish too. Great phone and even though it is marked as refurbished, very likely it will come like new from Appliance/Laptops Direct, as just an opened box item, where a customer has just changed their mind. This is my experience of this company. Shame about the pricing as I got the phone for £110 in silver from the same seller. 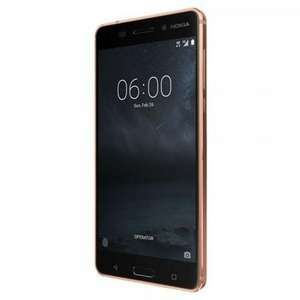 Even though the Nokia 6 (2017) is not officially Android One, it is more or less. Vanilla Android installed and Nokia guarantee all their devices will get two years of updates, so should get Android P.
This phone gets some slating for the SD430 processor, but will be no issues, if you are not a gamer or running really depanding apps. The metal unibody gives it a premium feel and will not believe it only cost you £100.